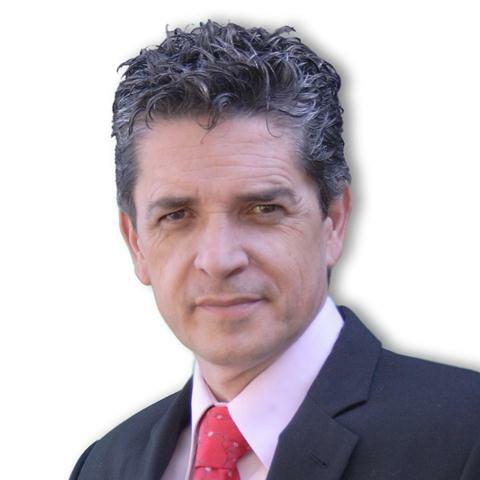 Luis Gaviria is a high impact inspirational speaker, author and professional coach. He has been featured on WLRN PBS Miami, Telemundo, Univisión, Televid, LifeDesignTV, American Latino TV. He presented “Universo Interior”, his own show (Inner Universe) in PBS, dedicated to the exploration of human nature. He presents his “Neurociencias y Coaching” show (Neuroscience & Coaching) on LifeDesignTV, aired by satellite to more than twenty Hispanic countries. He specializes in coaching and training leaders in personal and organizational transformation processes. His mission is to transform lives towards excellence and happiness, in sustainable and meaningful ways. As an inspirational speaker, his message and teachings derived from real life are both profound and practical. As a psychophysiologist, he works as a member of brain surgery teams. His protocols for awake craniotomy and rehab help patients in regaining health and functionality in shorter times and with extraordinary outcomes. He applies neuroscience to mind-body interaction, in order to create meaningful and healthy lifestyles. He is the Director and Provost at the Neuroscience & Coaching Institute, where leaders are trained in powerful coaching and mentoring approaches, to get their results to higher levels. He is also the chairman at Gaventerprise Group Corporation an American consulting firm, that designs and deploys human and organizational development processes, all this with the help of a great team of consultants. He is currently the Vice President of the International Association of Coaching, IAC. Coaching as an essential tool for transformational and highly effective leaders. Luis is a Master Coach Trainer at Neuroscience & Coaching Institute. His potent training course, “Think, Act & Succeed” has helped thousands in achieving great levels of success, reaching enormous personal transformation, with a great impact their lives and business. Neuroscience & Coaching: Neurocoaching – His version of Neurocoaching, Neuroscience Base Coaching is a powerful discipline that enhances personal motivation and clarity of purpose, offering tremendous possibilities for personal and professional development. HSE (Health Safety Environment) & SBC (BBS: Behavior Based Safety) – Neuroscience and Coaching Leadership Training geared towards accident free, highly productive industries. His “Train the Trainers” programs tap into the organizations own leadership and teaching resources, offering a highly cost-effective means for multiplying and deploying training processes.